September 19, 2015 September 19, 2015 Posted in Bakings, Food, Snacks. When spending a lot of my time in library and lectures I have again noticed the meaning of healthy snacks. I prefer fruits and nuts as a snack between lunch and dinner but sometimes is nice to have something else like these snack bars. Bars have lots of energy (178 kcal) and protein (16%) which are really needed on those afternoon hours. 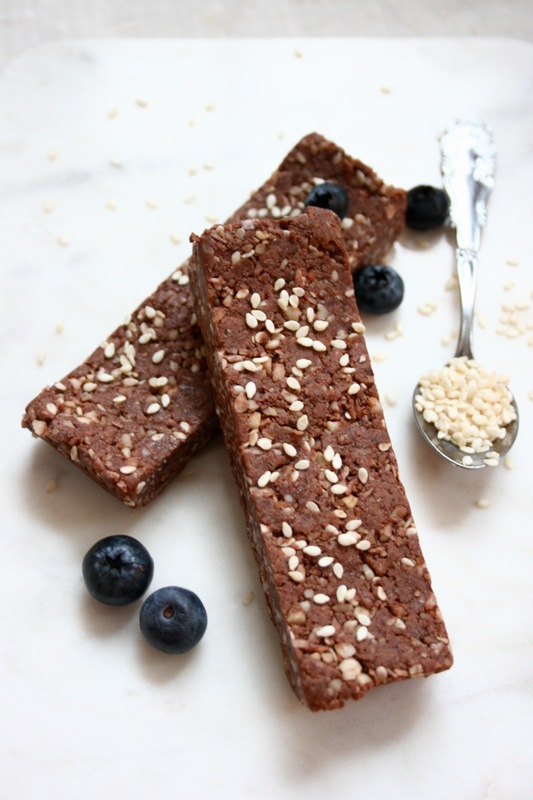 I prefer to do these kind of energy bars self rather than buying from store; I know which ingredients I have used and what I am actually eating. I recommend you to do one portion in Sunday evening, so you have one bar for each day of next week. These are easy to prepare and come quite fast as well. Grind peanuts and date to small pieces. Add rest of the dry ingredients and mix. Melt coconut oil and honey and blend vanilla extract to melted mixture. Poor mixture into the dry ingredients and stir to have an even dough. Cover a small cake or bread mold with baking paper and press dough evenly into it. Let it rest in a fridge before cutting to bars. When chilled wrap them individually to baking paper. Store in fridge (about 1 week) or freezer (about two weeks). Use some kind of box when you take them with that you don’t find crumbs from a bottom of your purse before having a snack… Ups. Previous: Previous post: Pizza Friday?